Victims of the 2010 floods in Gilgit-Baltistan, Balochistan and Sindh are among those to receive compensation for their losses. The programme awarding the compensations is part of a collaboration between the government of Pakistan and international donor agencies. The National Database and Registration Authority (Nadra) has resolved around 377,526 appeals through ‘Grievance Redressal System’ under the Citizen Damage Compensation Programme (CDCP) Phase-II, a Nadra official said on Thursday. The CDCP Phase-II of Nadra is designed to give Rs40, 000 in two tranches to the people whose houses were damaged by the floods 2010, the spokesperson stated. Nadra has so far processed a total of 950,523 Watan Cards in the second phase of CDCP, including 9,403 for Azad Kashmir, 4,039 for Gilgit-Baltistan, 278,047 for Khyber Pakhtoonkhwa, 13,539 for Balochistan, 340,994 for Punjab, and 304,501 for Sindh, he said. In the second phase, Nadra has disbursed Rs37.12 billion to 950,523 beneficiaries. The disbursement included Rs362 million for Azad Kashmir, Rs150 million for Gilgit-Baltistan, 11 billion for Khyber Pakhtoonkhwa, Rs13.56 billion for Punjab, over Rs11.54 billion for Sindh, and Rs476 million for Balochistan, he added. 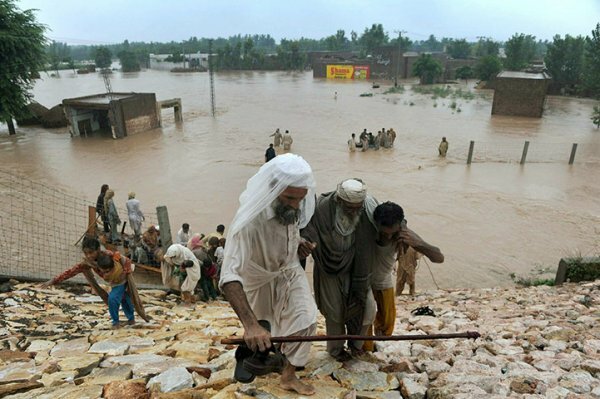 The authority has disbursed over Rs71 billion to flood victims in both phases. The first phase of Watan Cards was launched in September 2010, whereby the government distributed an initial tranche of Rs20, 000 among 1.75 million affected families in order to provide immediate relief. It is to be noted that Rs34 billion had already been disbursed in the first phase across the country in all the provinces, including Gilgit-Baltistan and Azad Jammu and Kashmir, with contributions from the federal government as well as the provinces, he added. According to him, transparency in the cash transfer programme in any ‘Social Development Sector’ amongst the people affected by any kind of disaster is the most difficult landmark to achieve. The programme worth $580 million has been part of the collaboration between the government of Pakistan and international donor agencies. The contribution of Pakistani government was $100 million while that of the World Bank (IDA loan) was $125 million with a USAID grant worth $190 million and Department for International Development (DFID) giving $100 million plus the Italian government’s loan of $65 million, he mentioned.